Allows up to a 24” holder width. Holders can be separated (as shown) or span across both belts. Photo shows master plates mounted to aluminum sub plates. Master plates are calibrated with belt for improved accuracy, and have locating dowels and threaded insert to allow actual holder to be attached to master plate. 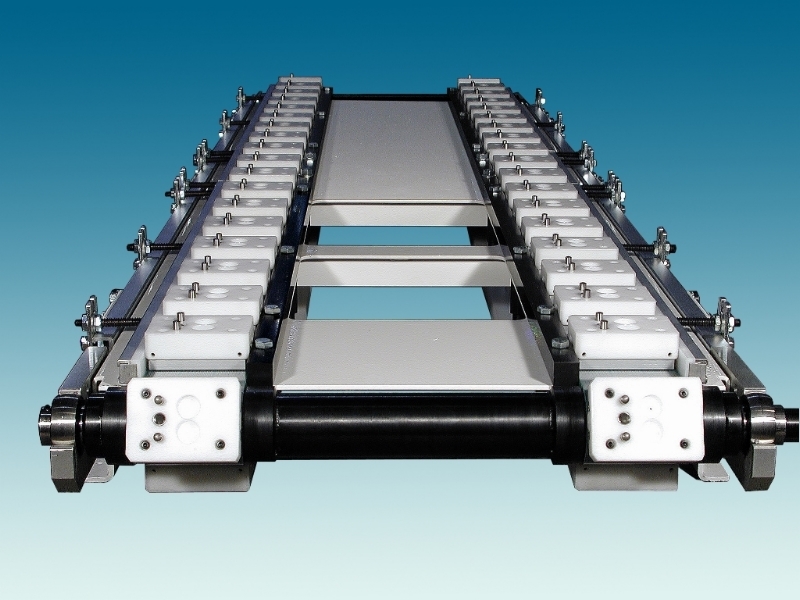 Holders or master plates are guided for entire working length. Both drive and tail pulleys are machined from a single piece. Holders are supported and guided on lower return to prevent vertical oscillation.